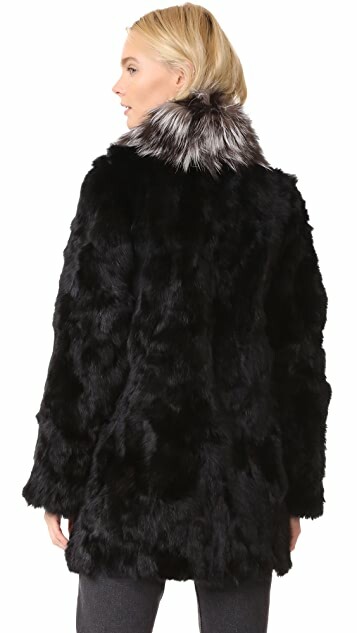 An elegant, mid-length Adrienne Landau fur coat with a salt-and-pepper fox fur collar. On-seam pockets trim the front. Open placket. Long sleeves. Lined. Fur 1: Dyed rabbit, from China. 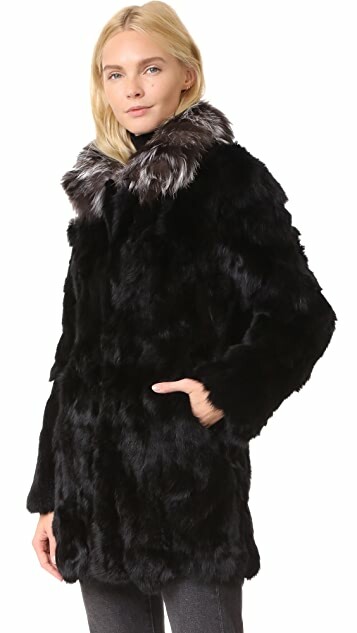 Fur 2: Natural fox, from China. 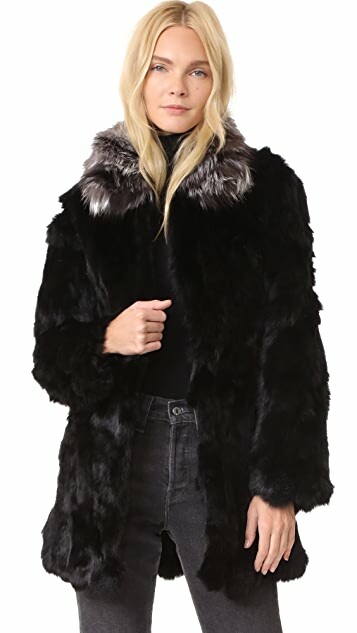 Adrienne Landau provides a spectacular mixture of exotic furs, lavish cashmere, and intricate detailing in her versatile collection. "I'm designing for today's person. 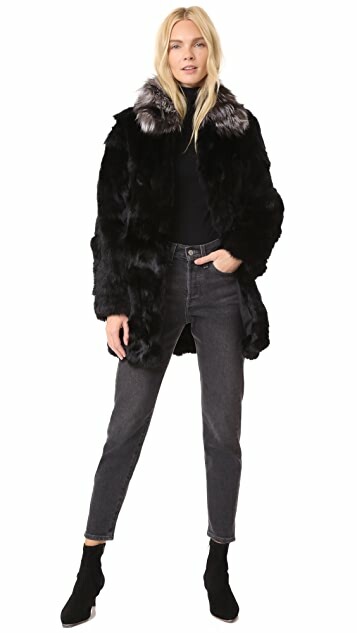 A person who is looking for a unique style in both the clothing he/she wears and the lifestyle they lead," says Landau. "I design for someone who is confident about attracting the right kind of attention." Fans of Adrienne Landau designs and the attention they bring include Halle Berry, Oprah Winfrey, and Julia Roberts.